I had to check this out for myself. 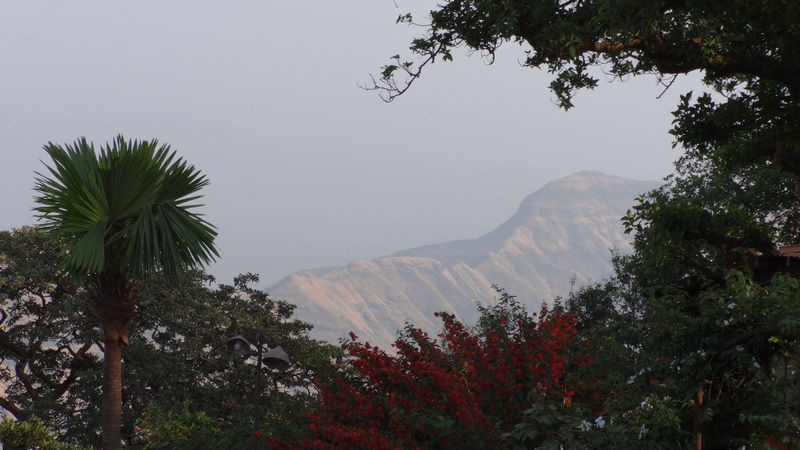 At 2500’ in the Sahyadris, Matheran – literally ‘forest on the top’ – is 110 kms from Mumbai. You could reach it by rail or road but all vehicular traffic must halt at Dasturi. 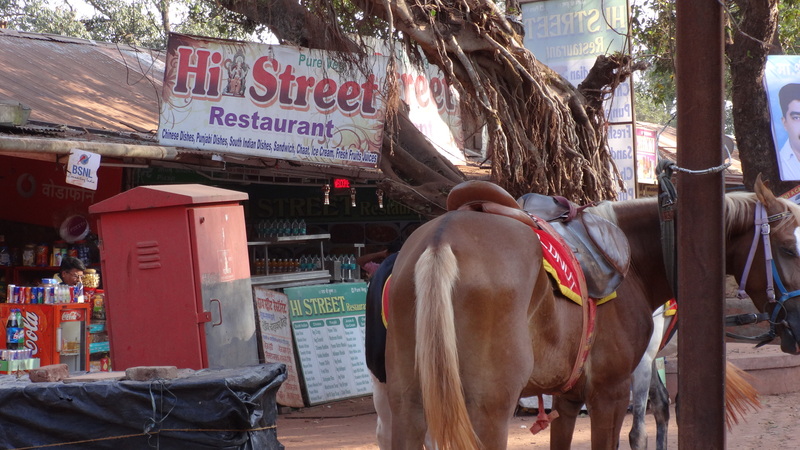 Pay an entry fee here before going ahead by shuttle, on horseback, Ghora Gaadi or foot. 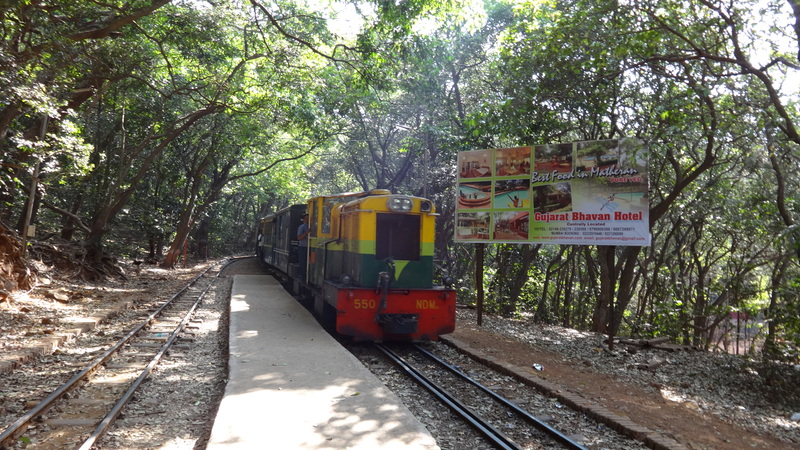 The 2 hour ride on the narrow gauge track from Neral to Matheran is not, at any cost to be missed. 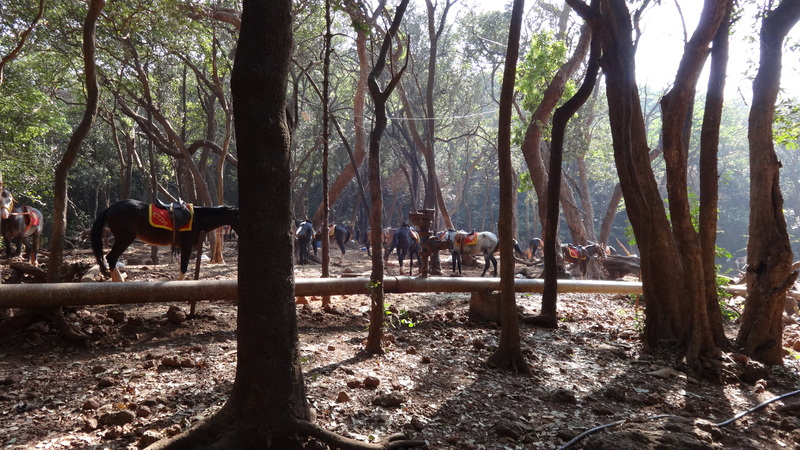 The engine huffs & hoots at every scenic bend & turn, cheered on by monkeys snatching at food while, a lone guard flags the way. 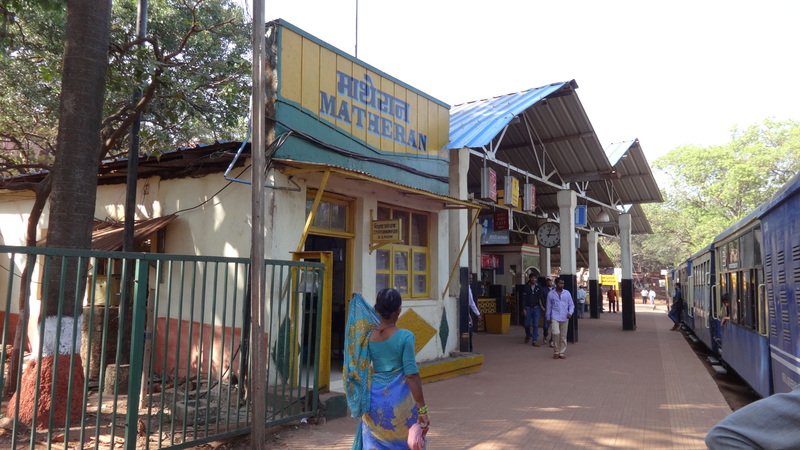 Matheran is a sleepy town where one wakes up to the sound of hoofs on red sand & stone paths. 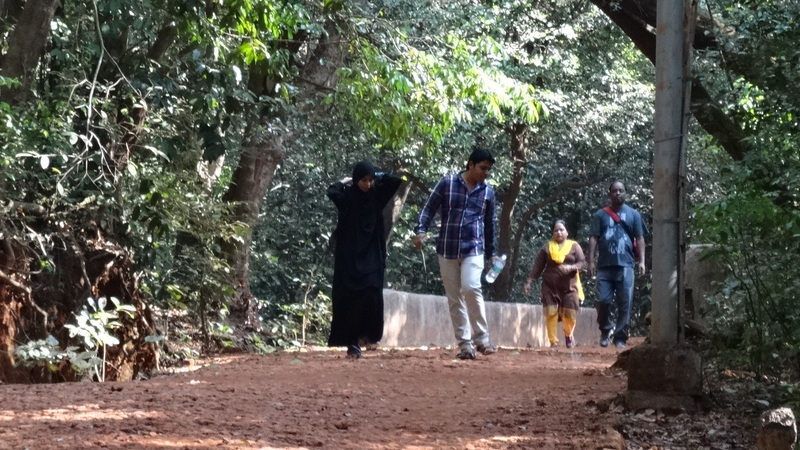 It is essentially a place for quiet walks & hikes. Of solitude, golden sunrise & purple sunset. Any wonder that it attracts so many honeymooners. Snatches of old Hindi film songs fill the air – “begaani shaadi mein Abdullah deewaana…..” Even this is soft & mindful. Not blaring. Like the place with its pretty colonial cottages. Shops open early & shut late. Most sell forest honey, chikki & leather goods. pub or bar to be found. In this mean ole town! 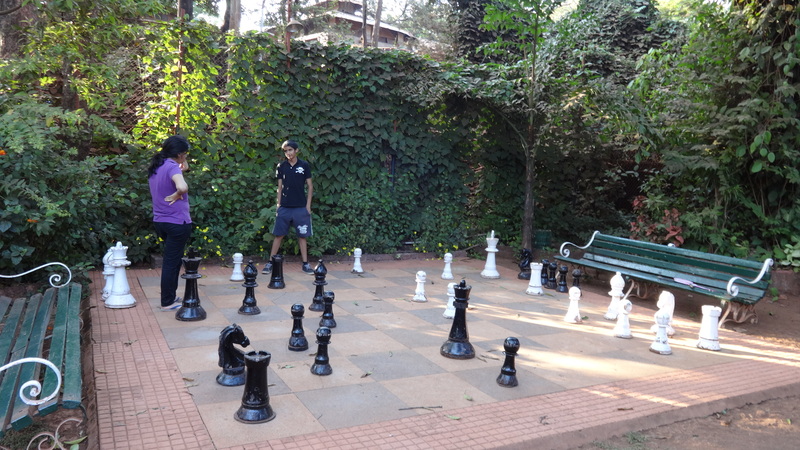 Lords hotel, owned by a charming Parsi family has an old world aura & ambience. The food here is good but it is for in – house guests alone. 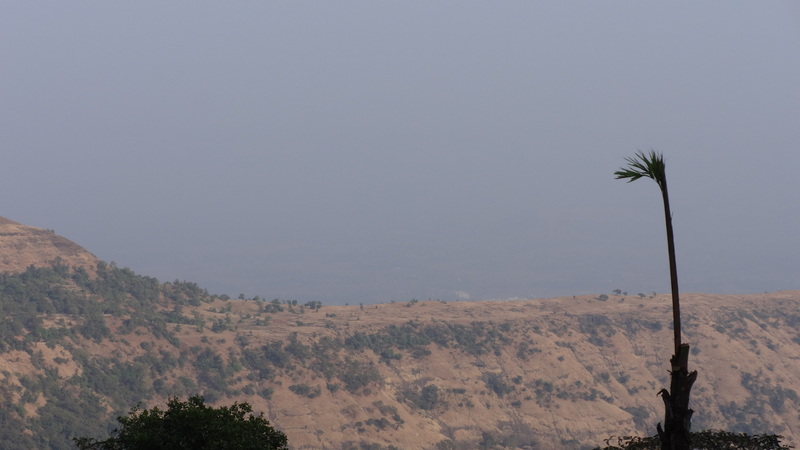 The best view of tabletop Matheran is also from here. Walking to Charlotte Lake I suddenly hear a strange unfamiliar sound & turn around to see a car. Whatever happened to the ‘no traffic’ rule? I accost the driver in my best aam aadmi style & am relieved to find it is an ambulance – the only one here – not some Bloated Ego bending the law. 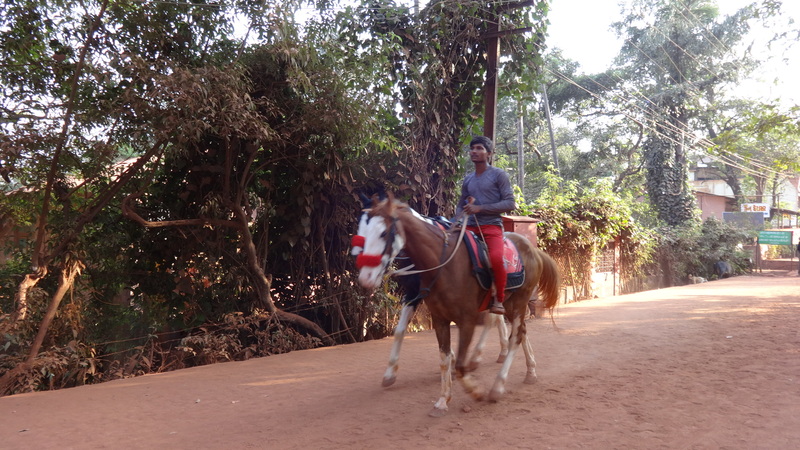 However, as every well heeled traveller learns _ there is always a way.